Bathing suits have the power to take summer fashion to a whole new level. Elevate your usual warm weather ensemble with these stylish swimwear tips. Believe it or not, summer is coming, and with it comes weekends full of beach trips, pool parties, backyard barbecues, and warm evenings outdoors. 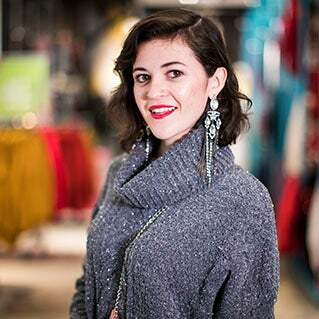 To help you get your wardrobe up to speed for the sunny days ahead, local fashion blogger Kristen Uekermann, aka The Boston Fashionista, is serving up some encouraging tips and insider scoops about the hottest swim fashions this year. Just don’t forget your sunscreen. When it comes to variety, Primark’s four-floor Downtown Crossing store has plenty of styles and cuts in a range of bold and beautiful colors and prints, all starting as low as $2.50. Ladies can take runway trends to the beach with off-the-shoulder suits that show just the right amount of skin. For bikinis, whether you prefer triangle or bandeau cuts—or want to try something new—you’ll find plenty of eye-catching suits. Want to really make an entrance on the sand? Check out the suits adorned in sequined patterns, insta-ready slogan prints that speak for themselves, and tasteful lace-up details. Mixing and matching is more than encouraged at Primark. Step off the escalator on the second floor and you’ll be met with dozens of colors, patterns, and cuts that can be paired together, shuffled apart, and used to express every angle of your personal style. To add layers to your warm-drobe, peruse the inspired selection of embroidered caftans and tie-up sarongs. In addition to being fashionable, each can help protect your skin from overexposure to the sun. To complete your look, grab a pair of sandals in any style you could imagine. From slip-ons to wedges, flip-flops to Birkenstocks, and more, both men and women will have no trouble finding plenty of pairs that pair perfectly with each of your summer ensembles, starting as low as 99 cents. Every day can be a #tbt in the latest cuts on the racks at Primark. Find a wide range of high-cut one-pieces for a stunning flashback to the spandex trends of the 1980s. Try a plunging neckline for a sensible show of skin and a ‘90s callback in the best way. For guys, check out the above-the-knee swimsuits in bright neons and bold patterns, all starting at $4.50. Board shorts are timeless, and you’ll find them in every color for only $10. You heard the fashion expert: Accessorize! For ladies, check the wide selection of sunglasses, ranging from traditional shapes to trendy cat-ear styles and beyond, each with different colored lenses and holographic effects. Same goes for the guys, who will find practical aviator glasses and more starting at $4. While you’re at it, grab your fill of all the straw accessories you can handle, with floppy hats for women, structured fedoras for men, and cute, pom-pom-adorned beach bags perfect for toting all your beachy necessities. After getting your (cart’s) fill of fashion accessories, head over to housewares for $5 beach towels and the ultimate pool-party accessory: inflatables. 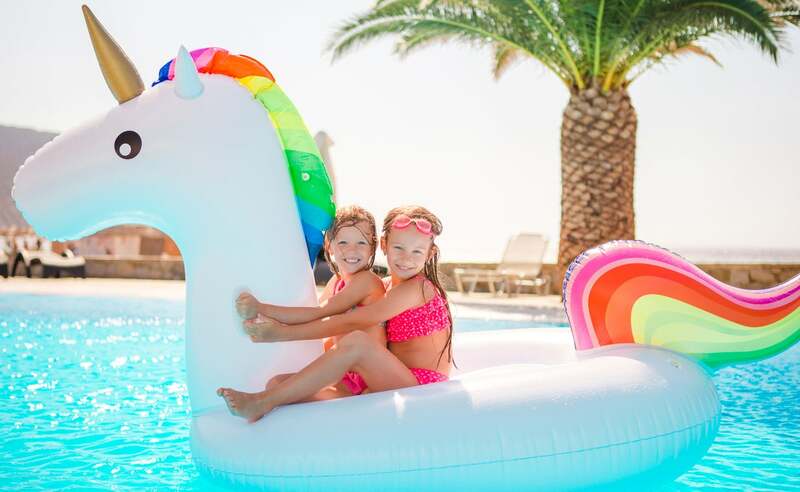 From dragons, unicorns, and bright pink flamingos to pizza slices and more, these blow-ups are primed to blow up your newsfeed this summer, so join the fun and float on. 5. And don’t forget the kids! For the kiddos, grab beachwear and summer staples at a fantastic price so you’re not worried about whether they’ll last the summer. Find bathing suits for girls with ruffles, slogan prints, and sequins—all ready to be mixed and matched—for $2. Boys have a selection of fun, bold prints and solid styles to choose from, each perfect for coordinating with a graphic tee or beach-ready rash guard. You’ll also find junior versions of sunglasses, hats, and sandals to round out the whole family’s looks. Jeans have come a long way since their creation almost a century and a half ago, but the future of stylish denim is as bright as ever thanks to new trends and fun options at Primark. A good exercise routine takes more than hard work and persistence. You need to do your homework, get to know your body, and dress for success with the right gear from Primark.